Half a millennium later, this idea — that private ownership of the means of production is the central barrier to a better world — has much purchase on the Left, with many calling for an economy based on direct worker and community control. More recent advocates have moved on from the problem of confidence to the problem of strategy. Three prominent left intellectuals are at the center of such efforts: Richard Wolff, Gar Alperovitz, and Erik Olin Wright. Partisans of popular control advocate the gradual, direct takeover of workplaces by groups of workers, within capitalism, alongside a similarly immediate expansion of cooperatives (co-ops) and spreading of decentralized participation into every aspect of social life. Over time, these quantitative changes will effect a qualitative change, with capitalism giving way to a society based on substantive economic and social democracy. For Richard Wolff, a political economist, capitalism’s defining problem is exploitation. Capitalists — by virtue of their control over the means of production — buy labor power, organize it, and control the surplus that workers create for both their own consumption and, above all, for the productive reinvestment that keeps this cycle going. But Wolff doesn’t think we’ll end exploitation by trying to regulate markets or turning to statist alternatives, whether social democratic or communist. Given the power relationships embedded in capitalism, he thinks industries inevitably capture regulators and fiscal expansion grows the system instead of altering it. And central planning merely supplants capitalists with state bureaucrats. He takes it a step further, asserting that the “next American revolution” is already underway. “Socialism,” Alperovitz tells us, “is as common as grass in the US” (adding parenthetically “well, maybe not that common . . . but still very common indeed”). Erik Olin Wright, a Marxist sociologist, is more theoretically ambitious and nuanced in his discussion than Alperovitz. He rightly rejects the determinist strain in vulgar Marxism, and though he expects that the struggle to replace capitalism will include serious conflicts and localized ruptures, he sensibly views an insurrectionary solution as outmoded in an era when capitalism is primarily coupled with liberal democracy. Moreover, Wright fears that the corollary of a rupture — the “dictatorship of the proletariat” — risks a more severe authoritarianism. This doesn’t mean he aligns himself with anarchist-tinged social movements implacably hostile to the state; he sees the state as an important site of struggle. But like Wolff and Alperovitz, he adopts a gradualist “metamorphosis” framework and places considerable weight on the eclectic development of “interstitial alternatives” that grow in the cracks of capitalism — “real utopias” that can eventually spread to capitalism’s core. The appeal of microcosms of a future world, such as co-ops and WSDEs, speaks to a common desire for substantive control over our daily lives, as well as a hope that such institutions might act as strategic battering rams for reaching socialism. Moreover, the Marxist-inflected populism of this approach seems to offer an escape from either working within the system and getting co-opted, or waiting for a revolution that never comes. For many activists it also seems to contain the added bonus of sidestepping the messy complexities involved with confronting the state — even though the state stands at the center of property relations and capitalist power. In the end, however, this strategic orientation doesn’t cut it. Difficulties quickly emerge in proposals to introduce worker self-management within capitalism, particularly when it comes to ownership. Albert and Hahnel were always careful to insist workers did not own their particular workplace, even if they controlled it — the workplace belonged to society as a whole. They argued that workers should “direct” their workplaces because they are the ones “most affected” by what happens there, but in order for socialist democracy to work, everyone affected by workplace decisions — other workers as well as consumers and the community — must have a say in how to spend the surpluses generated by production. However, thorny questions about ownership — and the mediation between means and ends more broadly — arise when worker control is implemented within capitalism, a system in which the institutionalization of property requires that ownership legally and substantively reside somewhere. If state ownership is rejected as a proxy for the commons and if ownership in worker-controlled enterprises is in the hands of the workers, then these groups of workers essentially become their own capitalists. They have ownership rights, mobilize their own finances, and control and reinvest “their” surplus for their own advantage. Takeovers remain on the agenda in Argentina today, but their growth has slowed amid a fall in closures. As of 2014, there were some three hundred worker-owned operations covering nearly fourteen thousand workers — a fraction of Argentina’s two hundred thousand registered businesses and less than one-tenth of 1 percent of the country’s workforce. Worker takeovers haven’t touched prosperous workplaces or the “commanding heights” of the economy. But what’s missing in so much recent analysis is a sober, comradely investigation of their strengths and weaknesses so that, over and above solidarity, we can learn from them rather than add to existing illusions — thereby gaining a better appreciation of what transforming society would really require. For all its purportedly radical goals, the movement for worker control within capitalism offers up curiously apolitical strategies to get there. They prioritize challenging property relations, but pay scant attention to the need to enter and transform the state, and seem to have little appreciation for how inter-firm competition helps reproduce capitalism’s social relations and priorities. Linked to these shortcomings is the short shrift given to political agency and the kinds of class political capacities — as opposed to economic capacities — that “getting there” demands. This relative disinterest in power and agency is the movement’s most fundamental weakness. How would workers actually take over workplaces not abandoned by capital? Is it right to expect workers to even want to do so given the uncertainties and lack of institutional support? What preparations are being made for the inevitable counter-attack from the state if this movement actually begins to threaten the economy’s dominant corporations and limit private capital accumulation? And beyond any threats from the state, how will these fragments of a new social order be coordinated and sheltered from the destructive pressures of domestic and international competition? Organizing outside the state is undoubtedly important. Yet at some point, anticapitalist movements can’t avoid taking the struggle into the state. Historically, when workers have gone to the brink in terms of militancy but refused or lacked the strength to engage with the state, their rebellions faded or were brutally crushed. To ignore or downplay the need to build a movement that can take on state power is to lose by default. A systematic consideration of the state isn’t just an issue for “later,” after the movement has become an actual threat. Rather, it is an immediate challenge — even when viewed in strictly economic terms. Though worker-owned enterprises and co-ops have proven they can survive in particular niches or in economic spaces largely abandoned by corporations, confronting capitalism’s major banks and corporations is a completely different matter. It strains credulity to expect worker-led enterprises to march out of capitalism’s shadows and replace corporate capital without the kind of support that can only come from states. The problem is not only that WSDEs and co-ops are disadvantaged from the beginning in terms of the workplaces and sub-sectors they have inherited, nor that they confront such a massive gap in financial, managerial, and technical resources as well as established connections to inputs and markets. Above all, it is that competition trumps everything. Despite isolated exceptions, competing on capital’s terms while trying to hang on to values that don’t enhance competitiveness means repeatedly facing a choice between jettisoning those values and accepting defeat in competitive terms. One common response to this dilemma is lobbying for special provisions for WSDEs and co-ops to partially correct the competitive disadvantage. These range from the easily agreed-upon policy of more “training,” to favorable start-up and financial subsidies and substantive technical and research support. Yet while survival may make such responses necessary, they also further legitimate the destructive impact of the competitive game. The day-to-day realities of competition tend to fragment solidarities, pushing worker collectives to look out for themselves — making winners feel little need to foster broader solidarities and losers feel cynical about worker control. The vortex of competitive pressures also spins its way into the inner workings of the collectives, giving greater weight to skills that markets deem more valuable and reproducing in-plant hierarchies that boost profitability. The divisions can also be self-inflicted, as when Wolff insists on categorizing workers along the axis of productivity, determined on the basis of whether they make a direct contribution to the creation of a surplus. Whatever purpose this might serve in analyzing capitalism (dubious at best), the distinction is especially counterproductive in building class-based solidarity. There are reasons to hope worker-controlled enterprises flourish economically. But their success does not, by itself, produce a working class with the capacities to win the coming political battles. That anti-radical tendency survives to the present. Mondragon workers have been notably absent from much of the ideological and cultural currents swirling about in the rest of the Basque and Spanish working class. 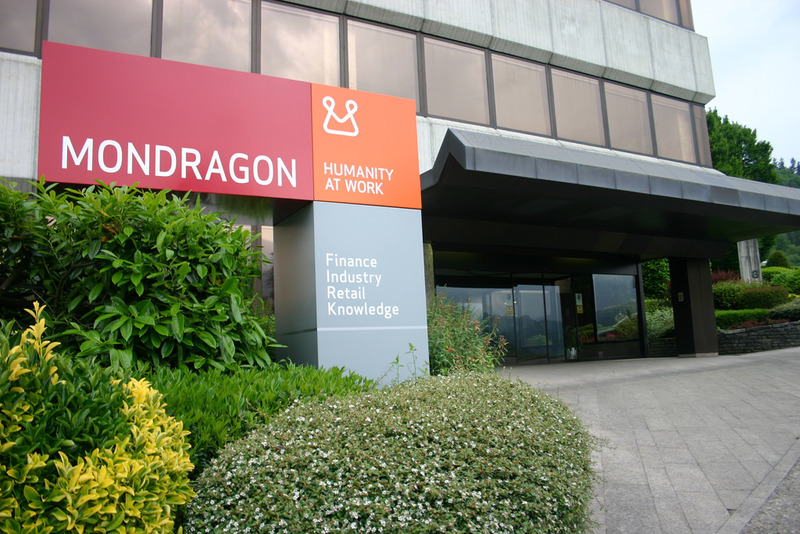 Though they have sometimes participated in broader struggles, the economic leadership of Mondragon has not been matched by a political leadership. In grappling with the dilemma of competitive success versus class formation, one point must be made: trying to enact policies that “level the playing field” is the wrong approach. What’s needed is to change the rules of the game, so that the measure of success is not a “competitiveness” that undermines solidaristic and egalitarian values. Changing the rules of the game means constraining the disciplining power of competition — limiting rather than extending freer trade, and constricting the ability of capital to remove productive enterprises from the communities that enriched them. This also implies giving greater weight to inward-oriented development and introducing a significant degree of economic planning. Moving in this direction, rather than working within the existing rules of capitalism, requires taking the struggle to the state — not just against the state, but inside the state and with the goal of transforming the state. This brings us back to the question of agency. If the key to achieving a participatory economy lies in the capacity to change the rules of the game and transform the state, then the evaluation of WSDEs and co-ops can’t rest on whether this or that enterprise is economically successful but whether they contribute to building a working class with the vision, confidence, class sensibility, smarts, and institutional strength to democratize the economy. So what would the politicization of WSDEs, co-ops, and related forms of participatory democracy look like? What does acknowledging the need to confront the state and build class capacities imply for their daily functioning? How would this broader role change as the stage of the struggle changes? And if politicization is to be generalized and sustained, doesn’t it demand, as a complement to these primarily economic institutions, a specifically political institution — a party (or parties)? Consider consumer and credit co-ops. In the past they often had close links to socialist movements and as left politics waned, so did the political nature of the co-op movement. Re-politicizing co-ops would mean rejoining the socialist movement: becoming active again in socialist-oriented campaigns, integrating socialist education into their contacts with members and the community, extending their facilities to serve as cultural and political spaces (coffee shops, bookstores, pubs, places for public forums). Especially intriguing is the suggestion, which has roots in some past practices, that co-ops set aside a portion of sales to fund union, community, and socialist organizing. Buying co-op would then amount to more than just the expression of a consumer preference. It would signal a commitment to a larger political project. In the case of worker-owned enterprises, politicization represents a more radical challenge. As emphasized above, a strategy based on taking over plants abandoned by capital while accepting the competitive straitjacket of capitalist markets may make a certain practical sense. But it simply cannot be a base for social transformation. Politicizing worker self-management demands a focus on the context within which they operate. To accomplish this politicization, WSDEs must be integrated into larger complexes — whether organized on a regional or sectoral basis — that directly meet social needs, and they need to be at least partially sheltered, through a significant degree of planning, from the destructive pressures of competition. The scale required for such planning can only happen at the level of the state. For his part, Alperovitz has constructively pointed to the democratic import of municipally owned utilities. This focus on the local state should be extended to manufacturing, construction, and service operations — constructing “soviets” of a sort. What this strategy emphatically does not seek is more effectively inserting workplaces into global value chains and international competition. If — as part of a struggle for inward-oriented as opposed to free-trade-led development — state and para-state institutions could begin guaranteeing markets for local production (e.g., hospital bedding and supplies, books for schools and universities, material and equipment for construction and environmental refurbishing), this might buttress the prospects of worker-managed enterprises. So too could the creation of a public corporation to oversee the conversion of plants (in sectors like auto) to address this century’s long-term environmental needs vis-à-vis public transportation and the energy-efficient refurnishing of factories, offices, and homes. Among other things, the presence of such structures might itself encourage workers — concerned about the future of their workplace and aware of its potential productive capacities — to initiate takeovers that could then fit into the overall environmental or social provisions plans. This is new territory. There is abundant evidence that workers can organize workplace production, but have little experience in democratically developing broader social plans that can also incorporate enough workplace autonomy to make worker self-management meaningful. How far this can go within capitalism shouldn’t be exaggerated, but testing it does seem fruitful for developing the economic skills, institutional abilities, and political links — as well as highlighting the many unresolved problems — essential for moving on to more ambitious interventions. A particularly significant blind spot for the workplace-control movement has been public-sector workers — especially considering that their unions are essentially the last bastion of trade unionism. In Wolff’s case, this oversight seems to follow from his minimal interest in “non-productive” workers. But the broader reason for the neglect lies in the absurdity of applying segmented worker ownership to the public sector; it doesn’t seem especially worthwhile to think about workers in the tax department or welfare department “owning” tax collection or the distribution of food stamps. Yet if the transformation of the state is paramount, then the role of public-sector workers is also crucial. At worst, ignoring it may lead to workers — concerned with their sectional interests — becoming a damaging obstacle to the state’s democratization. But at best, it could seriously broach the issue of moving us to a different kind of state. In the past, some public-sector workers have tentatively forged alliances with clients as part of an effort to protect their jobs and enhance their bargaining position. Could this defensive tactic be extended to institutionalize new worker-client relationships directly within the state — e.g., setting up worker-client councils inside the welfare department to address problems with welfare provision; establishing teacher-parent councils to restructure the school system; and forming similar councils for health care, housing, transportation? Thinking through these questions of politicization — whether it means rethinking industries, workers’ relationship to the state, or workers’ role within the state — makes it possible to conceive of the project of self-management as not bypassing unions but perhaps even fostering the conditions for their revival. To what extent does the revivification of unions and the re-emergence of struggle among their members lie in developing a broader class sensibility that links common frustrations to the need for larger workplace and community class solidarities that can challenge what is produced, how, and for whom — questions basic to the question of self-management? One of the few cases in which the state does come up in the participatory economy project is in participatory budgeting: a process that provides ordinary citizens the chance to shape local priorities. There are good reasons to cheerlead this exercise in democratic financing. Participatory budgeting brings in marginalized constituencies and develops individual and collective literacy about a particular dimension of state activity. And the process is attractive to some because they see it as taking power from the state and giving it to the base, rather than entering the state. The problem is, by their very nature, budgets function as disciplining constraints. If raising taxes, control over investment and jobs, and restrictions on capital flows are outside the realm of discussion — as is the norm in these pecuniary discussions — then the most important challenge is obscured: how to modify or overcome the constrictions people face. Participatory budgets thus end up limiting, not expanding, political possibilities. In this context, politicization would include not only equalizing opportunities for participation (transportation costs, child care) and democratizing technical expertise (by pushing bureaucrats to popularize their explanations and becoming, as a Brazilian academic suggested, “technodemocrats”), but carrying out the educational and organizing work to challenge budgetary constraints and locate them in the political economy of class power. At present, the politicizing of WSDEs and co-ops would revolve around consciously integrating political concerns into their economic activity — building a class sensibility, developing relations across their constituent parts, engaging the state, and taking steps that begin the process of transforming the state. Yet as with the economy, piecemeal transformation has its limits. If and when this movement confronts a new stage brought on by the larger movement it is part of — such as a left government coming to power with a commitment to democratize the state — the changed circumstances would raise the stakes for worker self-management. The continued dependence of the new government and society on a hostile capitalist class, along with the state’s still-undeveloped capacity to take over, restructure, and democratize major sections of capital, would make a period of uncertainty and crisis virtually inevitable. It is at this critical moment that the economic skills and potentials of worker self-management could escape their marginal station within capitalism and become a central political factor. It is here that the “symbiotic relationship” Wright speaks of between alternative economic institutions and related movements on the one hand, and the state on the other — naïve in ordinary times under capitalism — would also become meaningful. Neither the politicization of the alternative economic institutions nor the future transformation of the state is possible without the existence of a specifically political institution — a socialist party (or more likely, parties) grounded in these alternative institutions but with a larger (and longer-term) vision and strategic sensibility. Its distinct role is to focus not so much on more radical policies — though that’s important as well — but on building the individual and collective capacities for analyzing and evaluating, for democratic deliberation and strategizing, for organizing and building solidarity, and for endeavoring to make “workers” into a class with the ability to win state power and transform the state. There is no quick fix for the Left’s impasse. The attempt to revive ideas of self-management are admirable in that they highlight the fundamental importance of challenging private property. But the project’s dominant populism underestimates the limits of doing so within capitalism and overlooks the fundamental necessity of comprehensively challenging and overturning existing property relations — which cannot happen without developing the class cohesion and institutional capacity to confront the capitalist state. The result is the worst of all worlds: while self-management is confined to the fringes, the dominant corporations continue on their merry way; the hated state is ignored and left to continue hammering us; there are occasional outbursts that absorb energy but leave little of substance behind; the working class, for all its potentials as an actor, stumbles aimlessly on. Until the discussion is politicized such that it can go beyond a (legitimate) critique of statism, and begin to see the democratic transformation of the state as part and parcel of economic democratization — and the development of the class capacities to address this is made a priority — this “next big idea” will only be the Left’s latest failure.